How do you solve a problem like Van Morrison? Don't get me wrong, I come not to bury Van, but to praise him. The thing is, he is such a singular artist that he confounds expectations and classifications. The show opens with a sequence of precision-tooled jazz/soul/swing - call it what you will, but 'Close Enough For Jazz', 'Magic Time' and 'Moondance' serve to conjure up a warm mood. Then there's a throwback R&B medley. 'Baby Please Don't Go' lacks urgency, perhaps still bridging from the opening, but 'Parchman Farm' livens things up with some blues harp, and Van singing into the harp mic, before - glory be! - making a bit of a joke around the repeated gunshot drumming around the line about having shot his wife. 'Don't Start Crying Now' rounds off the blues segment, and that's the cue for things to veer into distinctively Vannish territory. 'Raglan Road' has a soulful, Celtic tinge to it that begins to draw the audience in, and from that point there is a gradual unfolding into a gorgeousness in which song titles become irrelevant. And that, I guess, is the point of Van Morrison. His vocals play an elemental part in this - in the pantheon of vocal legends he must surely be up there with the likes of Tony Bennet and Ella Fitzgerald in terms of his ability to bend and twist lines into new shapes. The other thing that strikes me, not for the first time, is the signal beauty of some of the piano lines Van writes, which often hit that sweet spot of sounding unique and yet timeless. His lyrics on some of these songs also occupy a Zen-like territory where simplicity becomes evocative, even if he does say 'Enlightenment, don't know what it is'. Interspersed with the deepness, as it were, are lighter numbers that for me are equally delightful. 'Precious Time', 'Days Like This' and 'In The Afternoon' are all in this vein - the last of which raised laughs of recognition about 'afternoon delight' from some quarters of the audience. The closing 'Into The Mystic' and encore of 'Ballerina' cast further spells over the audience to end the evening, with Van singing his way into the wings. Along the way he leaves his band to deliver a well deserved showcase of their talents - though they didn't get an introduction, and if you manage to identify them via the internet you've got more patience than I have. It's a curious breach of protocol to my mind, but perhaps playing with Van Morrison is deemed to be a reward unto itself. As I was leaving I heard one side of a conversation, in which some greybeard was offering his take on the gig to an acquaintance. "Better than the last three times I saw him, when he was doing his jazz stuff. That was hell." "It was alright - I liked the section with 'Raglan Road' and 'Common One'. Can't be doing with 'Days Like This' and 'Precious Time' though." Expecting Van Morrison to be one dimensional seems to me to be an invitation to disappointment. Better just to enjoy the times when he chooses not to be difficult, I think. I have to confess I'm surprised to find myself enjoying Eilidh McKellar's debut album as much as I have. I'd seen her play live back in the Spring of 2014, and while she and her band were undoubtedly proficient, their efforts were compromised by a sound mix that was so loud and dense that most of the time there was no sense of light and shade. But this album is intriguingly, refreshingly different. What we have here is no straight ahead blues rock set. Notably, McKellar has been given something of a leg up by means of appearances with Joe Bonamassa. But anyone expecting her to serve up a homage to the ubiquitous Mr B is likely to be disappointed, subject to the occasional nod in his direction such as the slabs of guitar on 'Until The Sun Comes Up'. Several of the songs here have the feel of KT Tunstall gone rock. Opener 'Summer Daze' is as good an example as any, opening with layers of shimmering guitars, supplanted by a chorus underpinned by chunky guitar riffs and organ. Meanwhile McKellar's slightly nasal drawl weaves its way over the top in a singularly woozy style; this is not to criticise - like Robert Plant, what she's singing about is often secondary to the use of her voice as an additional instrument in the mix. The overall effect is a kind of "blues-prog", which obliquely calls to mind a band like Flying Colors, though less florid. There are interesting guitar tones here, and space for the keyboards to feature clearly without straying into noodling. In fact it's noticeable that McKellar disdains virtuoso guitar solos most of the time, in favour of instrumental textures. There are variations though, such as the Purple-ish organ swells and Hendrixy guitar fills of 'Home'; the more laid back sound of 'Avenue E', vaguely reminiscent of Deacon Blue in more messed up mode á la Whatever You Say I'm Not . . . ; or 'The City', which emerges from squally territory akin to Them Crooked Vultures before weaving in more melodic passages. Or even the chorus of 'Preaching Lies', which drops out of a stomping rhythm section to conjure up the sweetness of Smokey Robinson's 'My Girl'. There's nothing here that really soars, or lands a knockout punch, and the quality levels aren't really sustained over all 14 tracks - the last couple don't really add much to the equation. But these are the first steps in an adventure for Eilidh McKellar that will hopefully unfold successfully. It's a set that scores high on technique, if perhaps less so on heart. And that's okay for a youngster who has yet to live her life. Most often, when I decide to play some Bad Company, the track that really makes me whack the volume up is 'Deal With The Preacher'. I first heard it - and taped it! - when Tommy Vance played it on the Friday Rock Show nearly 40 years ago, and it still sounds like a truly dynamic and original blues rock moment. There are more famous Bad Company songs of course, like 'Can't Get Enough', 'Feel Like Making Love' and so on. But this is the one that does it for me. That urgent guitar riff, Boz Burrell's bubbling bass, Paul Rodgers at his bluesy best, and towards the end in particular Simon Kirke giving it some serious welly to up the ante - who could ask for anything more? There was an interesting feature article by Laura Barton in the Guardian the other day, entitled 'The New Blues'. Acknowledging that the story of the blues is a story of evolution and metamorphosis, she asks: "where does it [the blues] now stand, and where is it headed?" Her response is that "the blues has begun to twist and turn again, with a raft of new artists embracing and emboldening the form. Where the blues of the White Stripes was sparse and pared-back, the latest take seems fuller, more elaborate". As examples she cites Benjamin Booker, Alabama Shakes, Rag'N'Bone Man's "melding of hip-hop and blues", and "the twisted desert blues of DD Dumbo". Now, I like Laura Barton's writing on music. I find it thoughtful, wide-ranging, and now and then quite beautiful. She can invoke the very personal meaning to her of a song or an artist, perhaps at a particular time, to unlock new insights for me as a reader. I also have to confess that to date the music of Rag'N'Bone Man and DD Dumbo has yet to reach my ears, though I do have Benjamin Booker's album, and I'm passingly familiar with Alabama Shakes. And with all that in mind I have to say that I don't think Laura is tapping into anything new or distinctive here. The essential problem with her premise is that in the course of its reinvention of itself over the last century, its encouragement of a thousand flowers to bloom, the blues has already hooked up with some of the forms that her examples quote as elements in their sound. Maybe their approach offers a different slant, and good on these explorers for their travels, but let's not kid ourselves that they are boldly going where no artist has gone before. Indeed one of the defining characteristics of the blues is that its connectedness to many forms of popular western music is already wired in - it doesn't take much thought to realise that it sits at the nexus of not just gospel and jazz, or other black genres such as soul and funk, but also rock'n'roll, rockabilly, blues-rock, country, folk, Americana and even bluegrass. Just have a think about of Robert Plant for a minute. Zeppelin didn't just plunder R&B standards and turn up the volume. 'Babe I'm Gonna Leave You', 'Gallows Pole' and 'Battle of Evermore' all added a folk dimension, while 'Kashmir' drew on Arabic sounds. His 80s album Now And Zen played around with hip hop sampling. When he reunited with Jimmy Page for Unledded, 'Yallah' and 'City Don't Cry' were both North African inspired, and the live performance included an Egyptian Ensemble. And in recent years he's been exploring a variety of different sounds and directions - including his Grammy-award winning and - to my mind - deadly dull Raising Sand collaboration with Alison Krauss. Which raises another question. Just because something is new doesn't necessarily mean it's good. No harm to Benjamin Booker, but I'm not convinced he's a breakthrough blues performer. The opening track on his album, 'Violent Shiver', sounds like nothing so much as Stiff Little Fingers. This may account for the enthusiasm of his label boss Geoff Travis, of Rough Trade, but doesn't necessarily make it original, and if it's any good it's not really much to do with a blues influence. Have a listen to Tim Timebomb doing 'Sixteen Tons' or 'St James Infirmary' , and you'll hear a good example of punk inflected blues. Those are covers, rather than original? Okay, so try out the 2009 album The Disco Outlaw by Jack-O and the Tennessee Tearjerkers (aka Jack Yarber) which strikes me as a much more satisfying example of 'new wave blues'. Thumbs up to Laura Barton for giving some airtime to contemporary blues. But let's not try to insist that because something is new - if indeed it is new - it must be good, because it ain't necessarily so. The blues will progress anyway, it always does. And by the same token, let's not overlook something great simply because it isn't out of left field. About six years ago I was in the throes of separation and divorce, and in sore need of distraction, when an old friend winged me a heap of music via the internet. None of it was familiar, and she explained that she’d recently come to the realization that she’d scarcely listened to anything new since about 1992. But she’d come across a download site called emusic.com which only made available stuff from independent labels, and these were some of her discoveries. So over the following weeks I began to acquaint myself with a variety of new names. These included Crooked Still, who performed what I took to be a beguiling country song called ‘Come On In My Kitchen’ – as I was later to discover, actually a cover of a Robert Johnson song. There was also Son of Dave, a bloke who mixed blues harp and beatboxing to considerable effect on a set that included ‘Crossroads Blues’, ‘Rollin’ an’ Tumblin’’, and ‘Mannish Boy’. 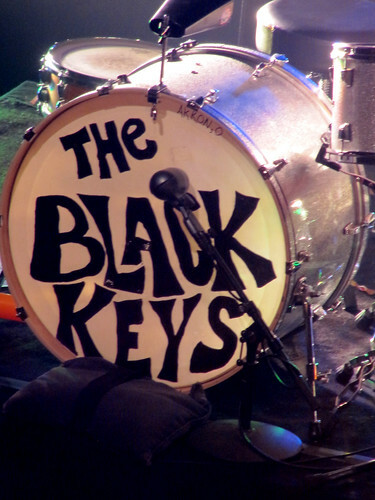 But the strongest impression was made by The Black Keys, a less than photogenic blues duo from Akron, Ohio - a place that I recalled as the home of a 70s punk/new wave scene made most famous by Pere Ubu. They’re a big deal now of course, but when I first came across their debut album The Big Come Up guitarist-vocalist Dan Auerbach and drummer Pat Carney were still largely unknown. Here were some purveyors of stripped-down, fuzzed-up blues played with passion and feel but also a modern edge. It was like Jack White stopped dicking around with gimmicks, and instead got on with delivering a stream of catchy blues songs. It didn’t fit into any kind of neat template I recognized, but I recalled the bluesier side of Rory Gallagher, the rumble of early George Thorogood, the raw appeal of early Beatles, and hints of Hendrix. Auerbach had a soulful voice, and coaxed a tuneful storm out of his guitar, while Carney laid down solid foundations and filled the gaps on drums. What's more, the two of them had the kind of tight but loose connection with each other that made the whole thing gel. It was a potent brew, and in no time I’d got hold of two of their subsequent albums - thickfreakness from 2006, and Attack & Release from 2008, both of which more than lived up to the promise of their debut album. I actually managed to pick up a cd of the latter for three quid somewhere, and was tickled to find that for that derisory price I was also getting a dvd of the duo playing live. For all that the recipe sounded basic, I realized that Auerbach and Carney weren't without a spirit of adventure. Attack & Release was produced by Danger Mouse, aka half of Gnarls Barkley, who was hardly someone I might have associated with this kind of down and dirty blues. Which just goes to show how much I knew, because he succeeded in adding some more delicate instrumentation and colour to the band's palette without destroying the fundamentals – and subsequently repeated the trick when collaborating with them on the albums that shot them to arena status. 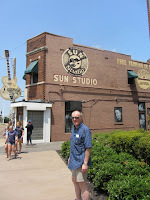 Bemused and enthused by The Black Keys, I began to explore emusic.com myself, and before long found some other artists who turned me in the direction of the blues, such as Ian Siegal and the North Mississipi Allstars. I was intrigued to discover, over time, that these three had particular connections to some key Mississippi blues figures, and to some extent to each other. Meantime I was also listening to Planet Rock Radio, where I first came across Joe Bonamassa, who by now had broken through as a mainstream rock artist. At first I wasn't terribly impressed, regarding his version of 'The Ballad of John Henry' as somewhat redundant in the face of Springsteen's Seeger Sessions recording of the same tale. But gradually I was won over by songs such as 'Sloe Gin', 'Dust Bowl', and 'The Whale That Swallowed Jonah'. Here was more evidence of new things happening in the realm of the blues, and it not only sharpened my enjoyment of the blues rock that had stayed with me since the 70s and 80s, it made me keen to explore further. The journey took another step forward. Tim Elliott has been piloting Blues’N’Trouble for thirty years now, so it’s little wonder that they know how to warm up a crowd on a cold December night. Bo Diddley’s ‘Cadillac’ may be a rather prosaic set opener, but they hit their stride with the soulful ‘In My World’ and the country blues ‘Travellin Light’. The template is Chicago R&B with a shot of boogie, and in that vein ‘Five Long Years’ is a perfect fit, though ‘Rock The Joint’ sounds like just what it is – a forerunner to ‘Rock Around The Clock’. But when they build up a head of steam, as on the self-penned ‘Try Anything Twice’ and the jump blues of ‘Downtown Saturday Night’, the temperature starts to climb. And the more the sound becomes infused with Feelgood-ish energy, the hotter it gets, with Elliott reaching for a Howlin’ Wolf/Lee Brilleaux growl on vocals and harp. Meantime Angus Rose adds some piano and organ frills to the solid foundations. ‘Watermelon Baby’ and the brief but bonkers ‘Up Against The Wall For A Quickie’ add a further dash of roguish pub rock sensibility to the mix. The odd song along the way may not quite hit the bullseye, but it really doesn’t matter. B’N’T know how to turn up, plug in, and crank up a party.